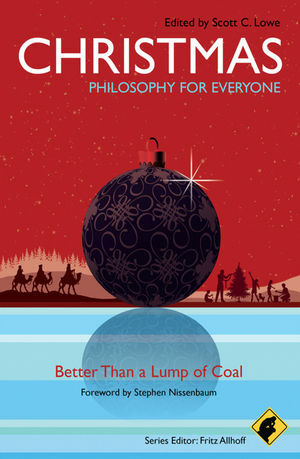 Philosophy at Christmas – gawd bless us, *every one*. Author Mr CooperPosted on December 23, 2011 Categories ViewpointTags Christmas, coal, Cognitive Science, Ebenezer Scrooge, elves, English Literature, Fritz Allhoff, moral psychology, philosophy, presents, rampant consumerism, Religious Studies, Santa, Scott C. Lowe, theology, unbridled materialismLeave a comment on Philosophy at Christmas – gawd bless us, *every one*. We recently caught up with Jesús Ilundáin-Agurruza and Michael W. Austin, the editors of Cycling – Philosophy for Everyone, released last year. We caught up with them recently and asked them a few questions about their editorial approach, and sound out why cycling is surprisingly complex and philosophically rich. Why did you decide to edit a book on cycling and philosophy? A colleague wrote that Ilundáin had found his calling with this project. But he’d rather say the book and the calling found him serendipitously when he saw the series editor Fritz Allhoff’s call for proposals. Mike Austin was first to sprint for it and get the nod, but graciously offered to edit this as a tandem. It made sense because our combined experience meant we would steer the project in the right direction (and we think it has covered philosophically fascinating terrain). What are some of the central concerns of the book, and why are they important?